Evelyn L. Parker is Professor of Practical Theology and Associate Dean for Academic Affairs at Perkins School of Theology, Southern Methodist University. She joined the faculty in July 1998. 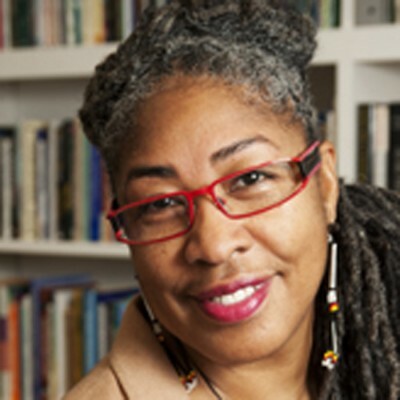 Parker is the editor of The Sacred Selves of Adolescent Girls: Hard Stories of Race, Class, and Gender (Pilgrim Press, 2006) and author of Trouble Don’t Last Always: Emancipatory Hope Among African American Adolescents (Pilgrim Press, 2003). She is the co-author of In Search of Wisdom: Faith Formation in the Black Church (Abingdon, 2002). She has also published several chapters and journal articles on adolescent spirituality. Her forthcoming book with Cascade Books is titled Just Between Sisters: Emancicpatory Hope Out of Tragic Relationships. She is an active member of the American Academy of Religion, and the Association of Practical Theology, the international Academy of Practical Theology, and the Religious Education Association, where she has chaired groups, presented papers, coordinated segments of consultations and convened sessions. She served on the Board of Advisors for the Princeton Theological Seminary Institute for Youth Ministry from 1995 to 2003. She also served as a member of the grant writing team for the Perkins Youth School of Theology, a $1.4 Million theological program for high school youth funded by the Lilly Endowment. Parker is a native of Hattiesburg, Mississippi where she grew up in the Christian Methodist Episcopal Church (CME). She has served the CME church as a local and district Director of Christian Education. She has also taught numerous educational ministry workshops and seminars on local, district, Annual Conference and Connectional levels. She has represented the CME Church on the World Council of Churches (WCC), Faith and Order Plenary Commission from 1996 to 2006. During the WCC Ninth Assembly in 2006 she was elected to the Central Committee. Within the WCC Central Committee she serves as co-secretary/reporter for the Nominations Committee. She is also a member of the 10th Assembly Planning Committee that was held in Busan, South Korea in 2013. ​She is an active member of the Kirkwood Temple C.M.E. Church in Dallas, Texas where she serves as Christian Education Coordinator.